Irina Constantin dedicates her practice to counseling and representing management in a wide spectrum of employment and traditional labor matters. She has extensive experience defending employers in all stages of litigation, against claims of discrimination, whistleblowing, wrongful termination, misclassification and breach of contract, among others. 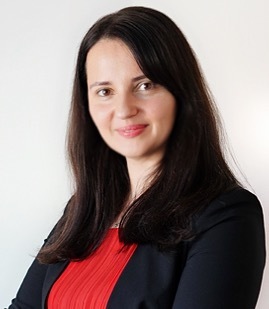 Irina also regularly counsels employers on the application and practical impact of employment laws, providing advice with respect to hiring practices, formation of personnel policies and procedures, workplace accommodations, terminations, reductions in force and corporate reorganizations. Served as lead counsel in a variety of litigation matters and authored multiple successful motions for summary judgment. First-chaired administrative hearing and successfully obtained dismissal of all claims of discrimination, retaliation and other unfair labor practices. Successfully first-chaired three-day arbitration involving employment discharge. Effectively oversaw several reorganizations and reductions in force. Chief Labor & Employment Counsel, CHA Health Systems, Inc.